Adjustable lumbar support, height adjustable arms and multiple mesh colors are unexpected standard features given the surprisingly low price of the Wit collection. 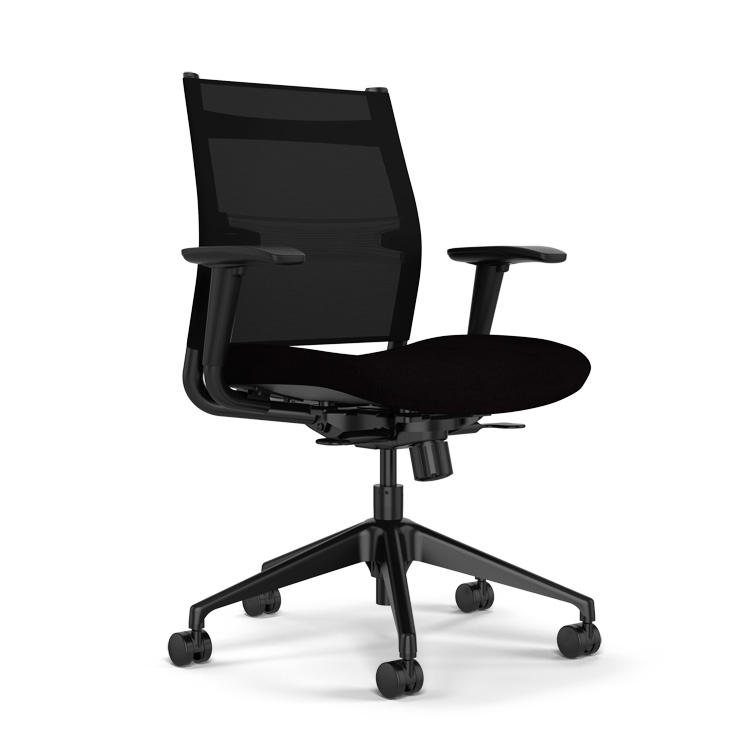 This smart task chair has a pull handle for easy mobility in collaborative environments. 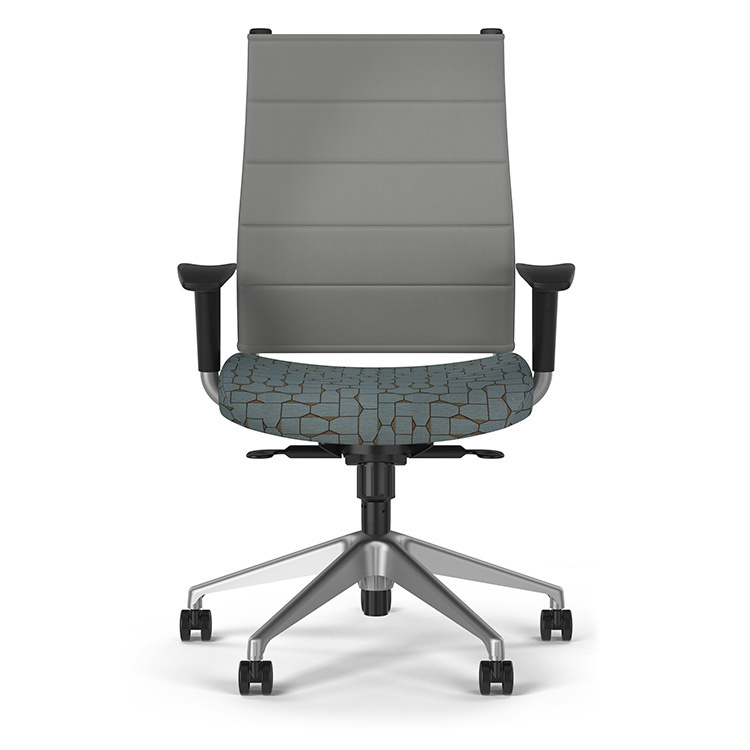 Wit midback and highback task chairs can be customized with black or silver accents, multiple mesh back colors and thousands of textiles for the upholstered seat. Choose armless, fixed, height adjustable or multi-adjustable (height/width) arms. Other options include a brushed aluminum base and seat depth adjustment. 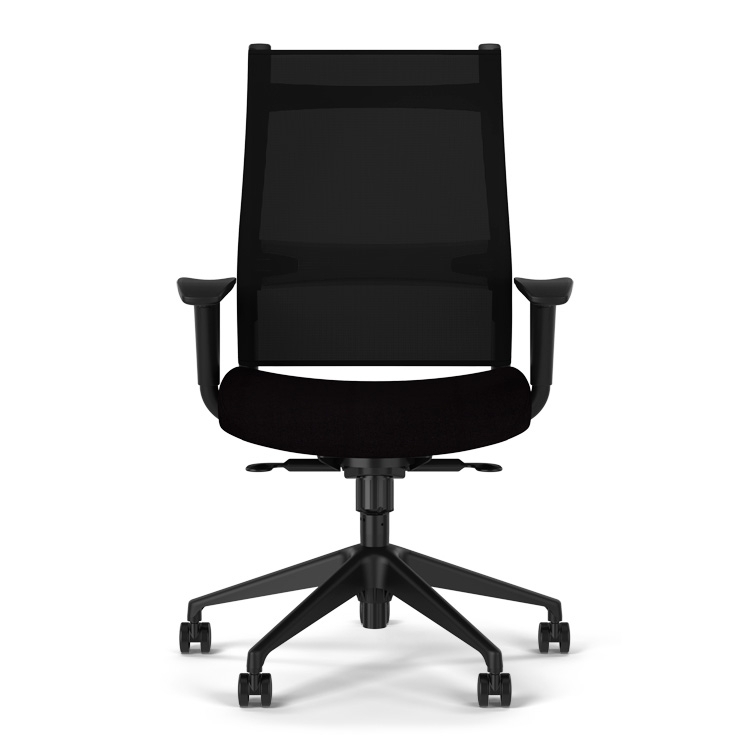 The Wit task chair was conceived with equal portions of design, comfort and value in mind, making this ergonomic collection perfectly suited for task, conference and collaboration environments.